In early July, the 2018 Global Sustainability Fellowship program was successfully concluded. This was the third GSF session run by the Lab, and it consisted of 26 fellows and staff who represented 17 countries. 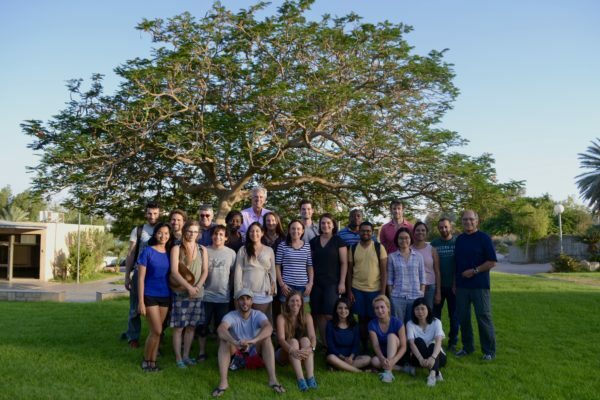 This year’s program took place from June 16th through July 7th, 2018 at the Arava Institute for Environmental Studies at Kibbutz Ketura, a remote site in the Arava Valley in Israel. The fellows lived at the kibbutz for the majority of the 3-week program, during which time they were exposed to the Lab’s sustainability framework, including the 5 core sustainability principles, systems thinking and modeling, and a system-based design approach to community development, project management, and more. The program consisted of class time, local visits, group experiences, and familiarization with specific local issues. The latter included transboundary water management in the Middle East, renewable energy initiatives, and peace studies and conflict resolution. Additionally, the fellows conducted fieldwork, and divided into 4 field work groups. Three of these 4 groups each studied a different local, intentional community, which they analyzed through the perspective of the Lab’s sustainability framework. The fellows synthesized their findings after conducting research, site visits, and interviews with members of each respective community. They then presented their analyses in plenary sessions to their cohorts, GSF staff, and local community members. The fourth field work group developed a roadmap for future GSF development. 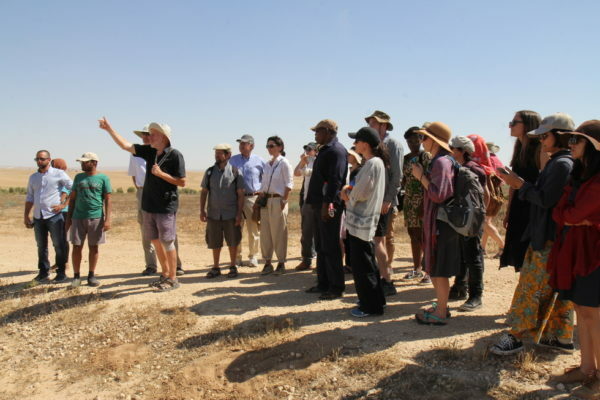 The local field trips included various sites around the region, including Kibbutz Elifat to look at the wind energy systems in place, and Kibbutz Yotvata to learn about the utilization of biogas. The fellows also had the opportunity to spend the day at Project Wadi Attir, where they learned about all of the innovative aspects of the Lab’s work there. Additionally, the fellows had opportunities to share aspects of their respective cultures, through presentations of typical foods, costumes, music, dancing, and more. All in all, the third GSF session presented a successful and powerful experience, exemplifying a way to provide young leaders with the tools to catalyze sustainability-related changes in the world. We look forward to seeing how the fellows apply this knowledge to their careers and future endeavors.